This guide is for people who may have heard of seedboxes, but have no idea how to go about using them. A seedbox is basically a computer sitting somewhere far away, with really good upload and download speeds (at least 100 Mbps). You have access to this computer, and you download torrents into it, like how you would download torrents on your own computer. Lastly, you connect directly to this remote computer, and transfer the downloaded files from it to your own computer. Some people don’t like to have their home IP address in the swarm, so they use a seedbox to upload and download from. Seedboxes typically have better upload speeds than a home connection, so you can seed much faster from a seedbox. You can also choose to seed 24/7 from a seedbox, something that you might not be able to do from home. Do you get crappy speeds because your ISP throttles your BitTorrent traffic? 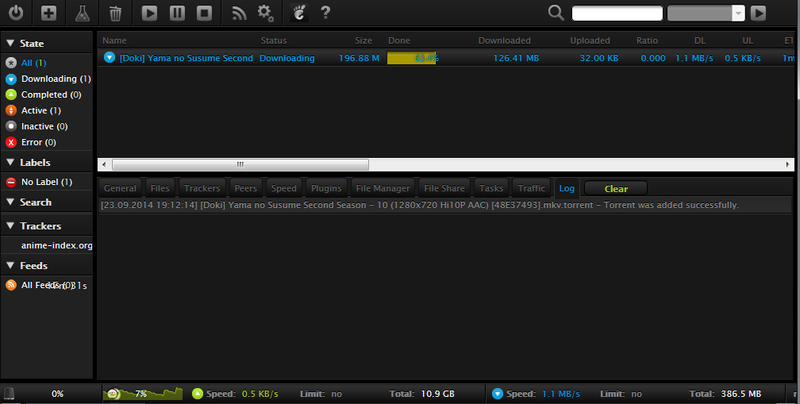 Downloading torrents via a seedbox is a solution, because ISPs tend to not throttle FTP traffic. Want to increase your BakaBT ratio? 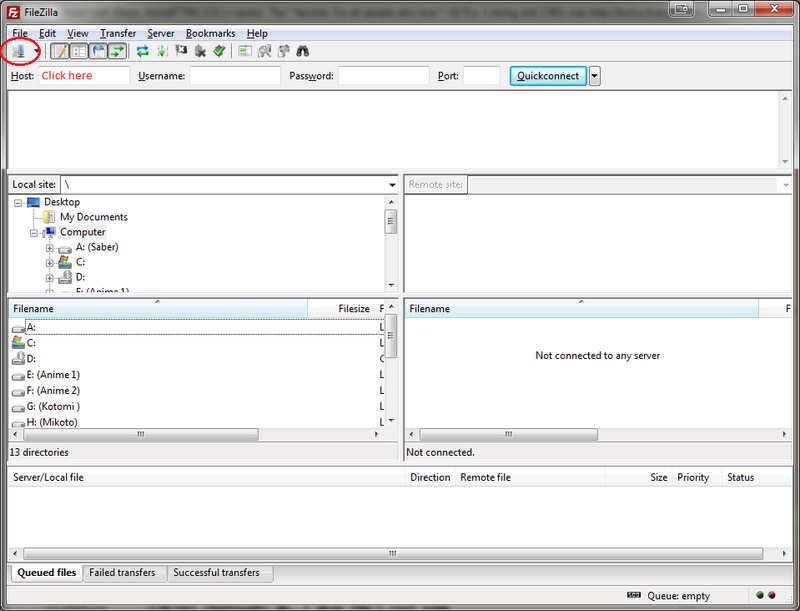 You can do this easily by seeding from a seedbox. Open up your browser and log into sdbx.moe. The downloading process is very similar to what you would usually do at home. So now that we have downloaded our desired file onto our seedbox, we want to transfer it to our home computer. We will be connecting to our seedbox via FTP. You need a program that can do this. I recommend Filezilla. You can also download a torrent from a URL. 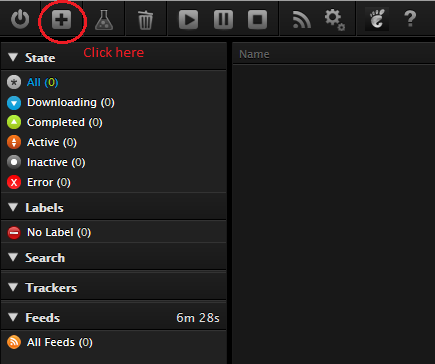 You can also set up RSS feeds to automatically download torrents that a group releases. 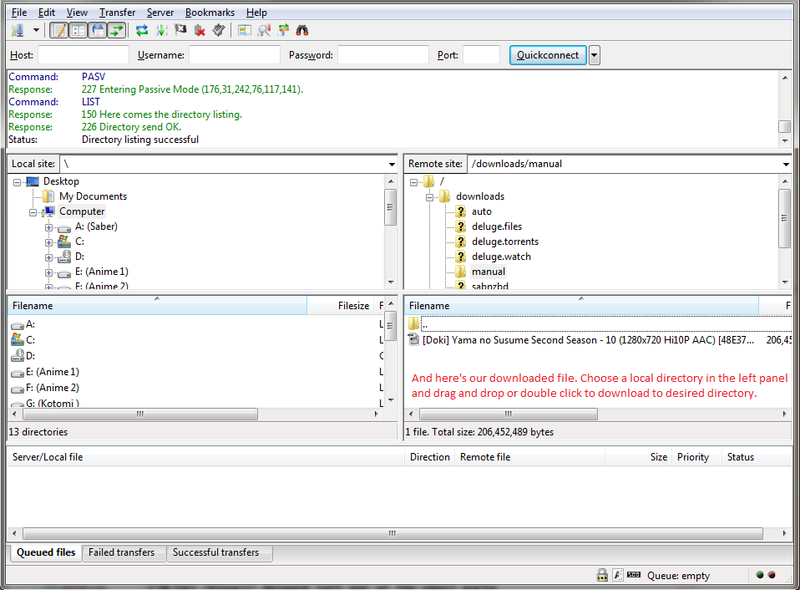 You can play around with the settings for ruTorrent. But only do this if you know what you’re doing! The default settings will be fine for day to day downloading and seeding! You can upload files to your seedbox via FTP as well, for seeding purposes. Compatible with private trackers, like BakaBT. If you have any questions, you can send me an email at [email protected], or you can leave a comment below. I filled in the information you wrote in FileZilla but it won’t connect to the server. Any idea what’s wrong? It’s not temp.hologfx.com, it’s whatever I sent you. [host]/rutorrent. Can the seed box be used to provide DDL?? Not HTTP DDL, but FTP DDL. If you want to, that can probably be arranged (for no extra cost). got any tips for linking chrome or firefox to the seedbox so you can click a link and it get sent to seedbox? Not sure if anyone is still monitoring this area but I’ll ask anyways. Is there any support for encrypted connections such as sftp/ftps? Oops, I forgot to ask if the boxes are dedicated or shared, and if so, how many users per server? 800 could be shared or dedicated. For shared, number of users ranges from 3-4, depending on what other plans are on the server. 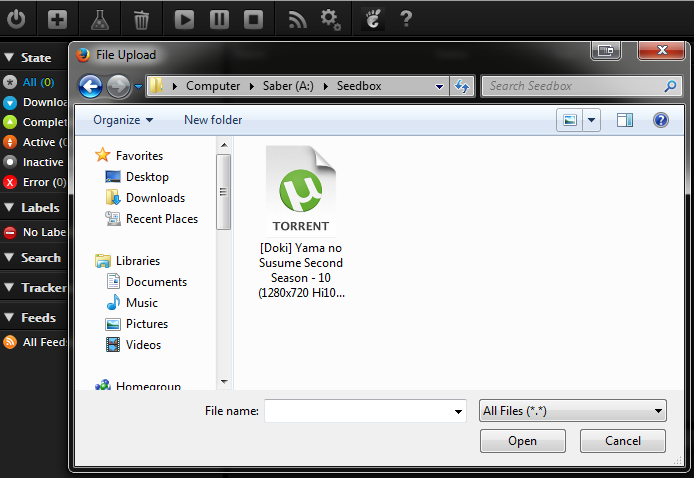 I can use the seedbox to download torrent and when the download is completed, I can copy the file to my PC. When transferring the file from seedbox to my PC, what will be the speed? It is still depends on my internet speed, right? Yes, seedbox -> your PC will be limited by your internet speed. 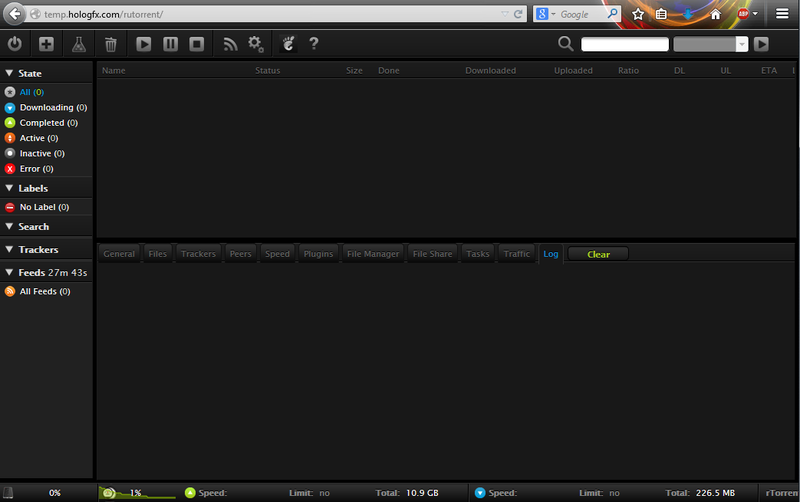 Hi, just a noob question, the IP address used to download the torrent via SeedBox does not belong to me right? No, it’s the seedbox’s IP address. Hi there. Is there a pricing list I can see or is there only a fixed price for a seedbox? http://doki.co/seedbox/seedbox-price-plans/ Please go here to see the various plans available. is it possible to use IDM? You can use anything that allows you to connect to a FTP server. I would like to test your free trial! I’m new to all this but like to give a try. To get the files from seedbox to computer, i see you use Filezilla. Do you use the server or the client to get the files to the computer? Do you some tutorial how to configure Filezilla through computer firewall? Now, where can i get a seedbox?